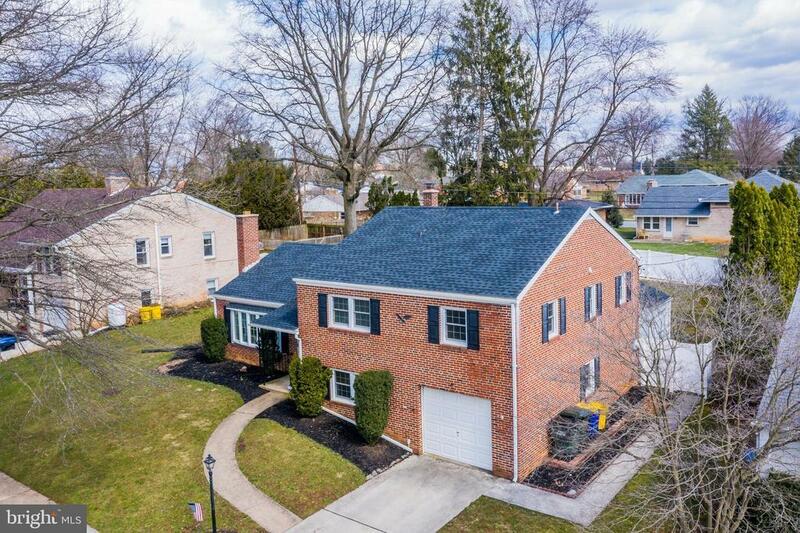 Exceptional and well-maintained split-level home within popular Cedar Cliff Manor Neighborhood. Enter this gorgeous freshly painted home with 1st floor open to kitchen, dining, and living room. Large family/dining room with gleaming hardwood floors and fireplace. Lovely kitchen has plenty of cabinets, stainless steel appliances, and tile floors located just off dining/sunroom room. Entertain/Relax in cozy 4 season sunroom that opens to large backyard with concrete patio and privacy fence. Head down to lower level to a very comfortable family room, half bath, additional office/storage (finished), and laundry room. Upper level includes large master bedroom, renovated full bath, and 2 additional bedrooms. Newer Roof (2013); Newer A/C system (2009); Duel Electric heat pump/oil fired combo; New Security System; Newer Windows. This home is a must see! Adam McCallister & Rob Myers Jr.
© 2019 BRIGHT, All Rights Reserved. Information deemed reliable but not guaranteed. The data relating to real estate for sale on this website appears in part through the BRIGHT Internet Data Exchange program, a voluntary cooperative exchange of property listing data between licensed real estate brokerage firms in which McCallister & Myers Real Estate Services participates, and is provided by BRIGHT through a licensing agreement. Real estate listings held by brokerage firms other than McCallister & Myers Real Estate Services are marked with the IDX logo and detailed information about each listing includes the name of the listing broker. The information provided by this website is for the personal, non-commercial use of consumers and may not be used for any purpose other than to identify prospective properties consumers may be interested in purchasing. Some properties which appear for sale on this website may no longer be available because they are under contract, have Closed or are no longer being offered for sale. Some real estate firms do not participate in IDX and their listings do not appear on this website. Some properties listed with participating firms do not appear on this website at the request of the seller. Data last updated on 2019-04-23.